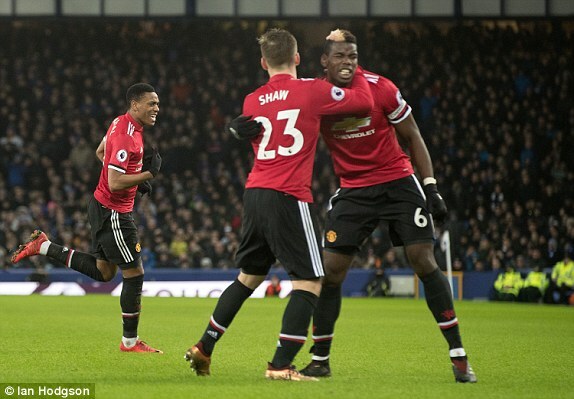 Manchester United found winning ways again in the Premier League after beating Everton 2-0 at Goodison Park on New Year’s Day thanks to goals from Anthony Martial and Jesse Lingard. Contributing writer, Nathan Quao, of Citi Sports, Accra, Ghana picks out the main talking points from the match. Finally, the play did not smell of uncertainty. It did not not reek of fear and care and the players went for it, at least in the second half. The first one was akin to two boxers sizing each other up but it changed and that is what must happen on a regular basis. There was no need to fear. The result had to be gained and so, the team went for it. 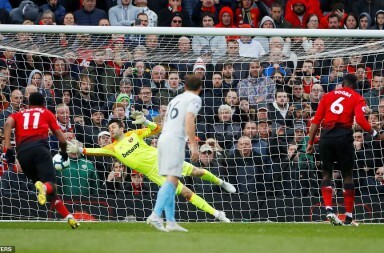 Mata took a few shots, Pogba was let loose, Lingard and Martial started to run more cleverly. What was the result? Two good goals and three points. Of course, there will be days when the hand brake must be applied. There will be times when staying cagey will be the best course of action but those moments are supposed to be the exception or a response to a problem and not the default setting. At Goodison Park, the gaffer allowed freedom to reign and he got his victory in return. For Jesse Lingard, he must be feeling like a boss right now. He has seven goals already and more of them have been very important in terms of value. The one against Everton made sure of the victory but it did another thing: it spoke of how important he had become to the team. It has him taken him time to get here after years of being very inconsistent and frustrating. He has found his place in the team and credit must be given to him for working hard and showing what he could give to Manchester United. He is certainly not one to start every game. He is not a Ronaldinho or a Cristiano Ronaldo but he has placed his bets attributes on the table and some work has been done to harness those qualities. The next step is now reproducing those performances for the team. If he can do that, he will have every right to shut his critics up like he indicated in his celebration after his goal at Everton. Has Pogba found his best position? If there is one question that has lingered since last season, it is one concerning how to get the best out of Paul Pogba. Many theories have been stated over how Jose Mourinho can make Pogba look like the record transfer he was signed for. Some say he needs security of a single defensive midfielder while others believe he needs the safety net of two screeners. If the second half of the victory at Everton is anything to go by, then it seems he needs two men guarding the foort while he goes on to cause havoc on the opposition. He tended to drift to the left like in his Juventus days and that what where he caused Everton problems. 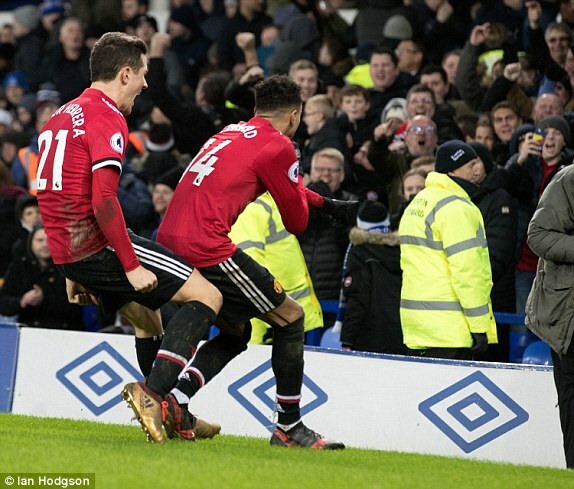 His pass to Anthony Martial for the first goal was created and dispatched from that end while the pass to set Jesse Lingard on the run for his goal was made further down the left wing area. It may only be one game and perhaps, the shift came as a consequence of all the injuries and the mixing and matching the manager did. But maybe the manager can try this again and see what happens. Another good display and we could be finally getting close to finding how best to deploy Agent P.